Help has not been forthcoming. Monday at Julaina Kleist’s Polish Your Writing class, Julaina gave us an in-class assignment. She passed out copies of different photographs to groups of two or three. Emily and I were handed the below picture. Our assignment, write an elevator pitch of twenty-five words or less. We came up with several pitches, none destined for fame. While other students read theirs aloud, my mind began sketching out my entry for NaNoWriMo. After class, I went home and spent six or seven hours researching the story line. I DID NOT WRITE. I hope I didn‘t violate the rules. Before I left class, I knew my story would be unlike anything I have ever attempted. 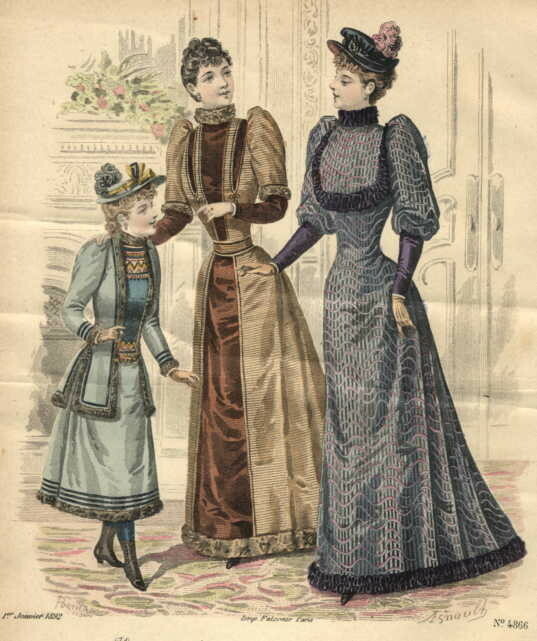 Set in 1894, it is from the point of view of a twenty-eight year old widow. I will change the girls’ dresses into the appropriate design for the time. I found a half dozen or so photographs and drawings. With the collection of samples, I can see the two girls, and my protagonist, Lura Grisham Myer. My problem is I can’t for the life of me describe women’s clothing. I could use some help. (Hint, Hint). 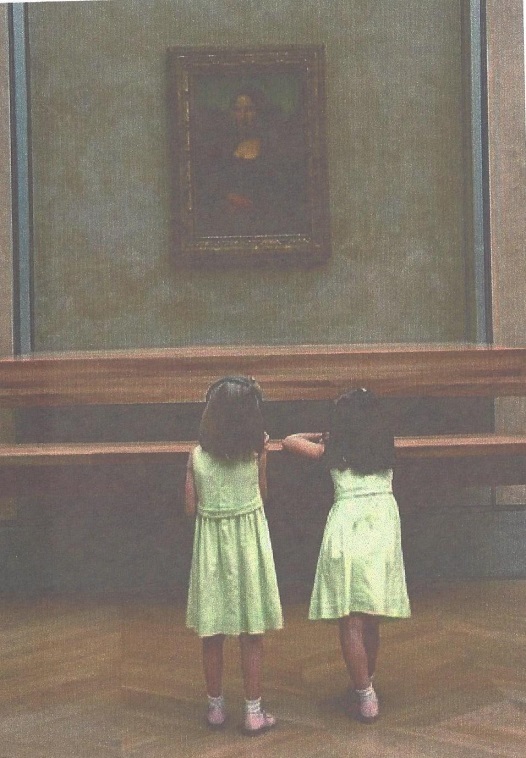 The story begins in New York several months before Lura comes across Mary Margaret and Ada Mae Dean viewing the Mona Lisa at The Louvre in Paris. 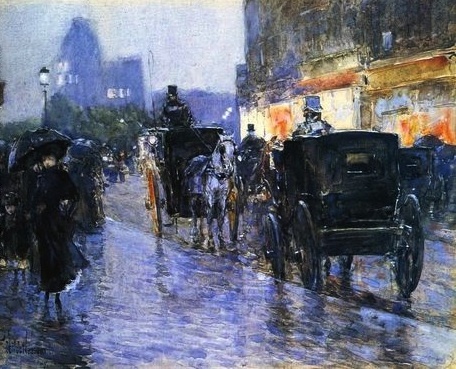 Cabs will play an important role in New York City. 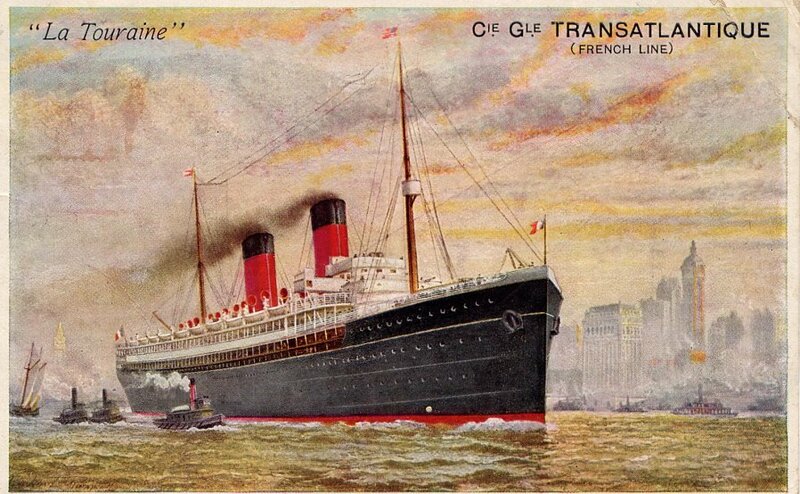 Lura will travel to France on the SS La Touraine as a First Class Passenger. It is an entirely different ship when she is forced to return to New York as a Second Class Passenger with two young girls in tow. I have several photographs and drawings that play various roles in the developing story line. I won’t share them with you now. It would give away the story line that will undoubtedly change as my characters journey from New York to Paris, and back. Look for an interesting trip for Lura and the girls. There might even be a mysterious stranger lurking in the background.